1. They are cool because not everyone has one! Fewer than one out of a thousand people in the United States have one and many people don’t even know what they are. 2. They are fantastic wall decorations. 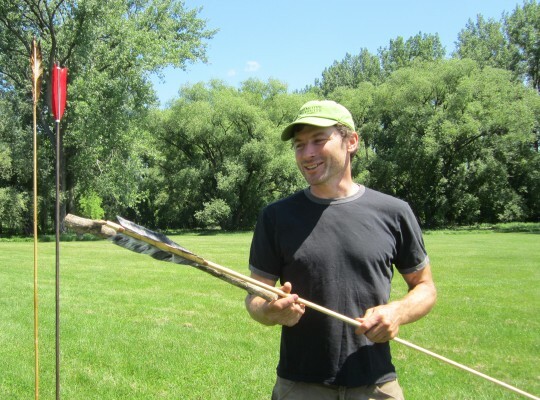 Atlatls and darts make great conversation starters because they are rare, interesting and not many people know what they are. 4. 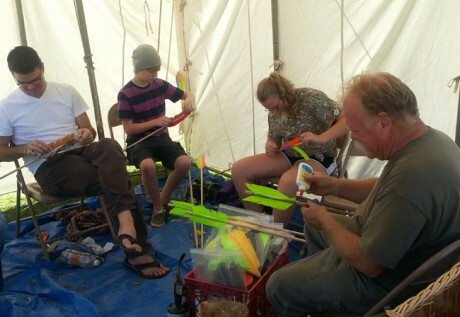 Atlatls and darts are a great family activity. 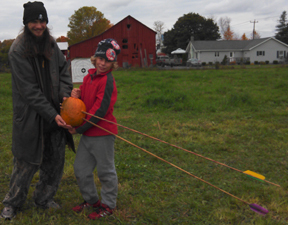 You and your children will enjoy atlatl outings or backyard atlatl activities. It will get you all out of the house and away from your electronics. 5. Atlatls are just plain fun. It is fun to shoot something that goes farther and faster than you would expect it to. 6. Great way to make new friends. 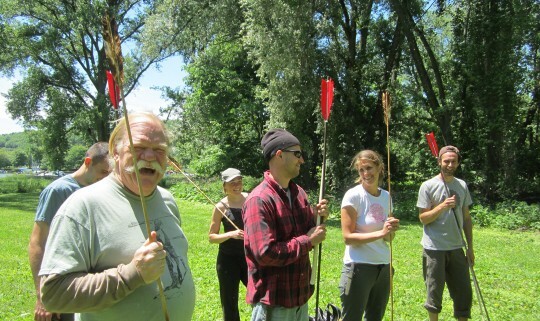 People who come to atlatl events are just fun to be around. Remember they are cool to begin with. 7. Kids can cast them. We have seen children from 3 on up casting darts with atlatls. 8. Old people can cast them too. We have seen people 80 and older using an atlatl. 9. Intergenerational sharing. 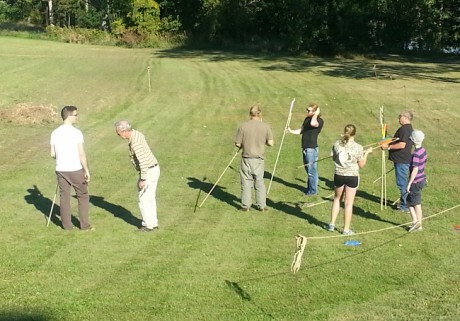 People of all ages can enjoy atlatl events together. 10. It’s a gift you can’t get at a big box store. When was the last time you found an atlatl in your local shopping mall? Atlatls are what you get for the person who already has everything. 11. They have history. 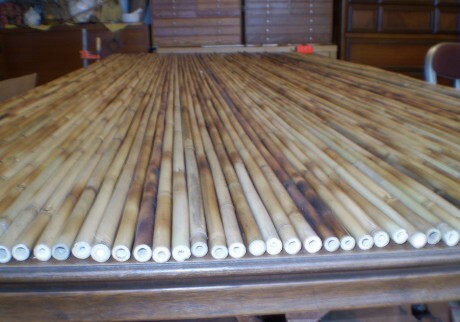 Atlatls have been used for more than 12,000 years. That’s a lot of history. Cortez fought against the Aztecs who used atlatls. 12. They’re primitive. Atlatls and darts were one of the first weapon systems ever devised by humankind. All of us have ancestors who survived, nay thrived because they were masters of the atlatl and dart. 13. They’re survival tools. You can learn to make an expedient atlatl in almost any location for hunting, fishing and self-defense to help you survive in adverse situations. 14. You can hunt with them. People have been using atlatls to hunt with for at least 12,000 or maybe at least 60,000 years. New laws allow atlatl deer hunting in Missouri, Alabama, and Nebraska. Many states allow small game hunting and wild boar hunting. 15. You can fish with them. Atlatl fishing is one of the most exciting ways to fish. Instead of the fish choosing you, you choose the fish. 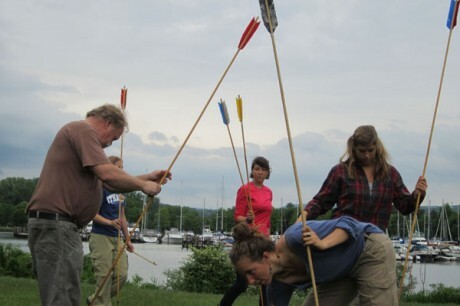 Atlatls cast harpoons much deeper and with more penetration than can be achieved with bow fishing. Check your local fishing regulations first. 16. 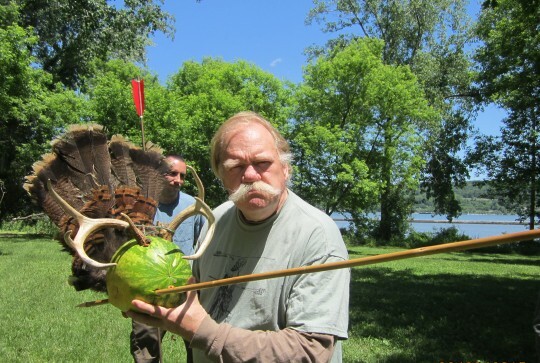 Amaze your friends and confound your enemies with your atlatls and darts! Show your friends your new skill. 17. You can go places with atlatls and compete in contests. You can compare your score to everybody else’s in the world through the World Atlatl Associations International Standard Accuracy Contest or ISAC. 18. There’s a World Atlatl Association that ties everyone who plays with atlatls together in a network. 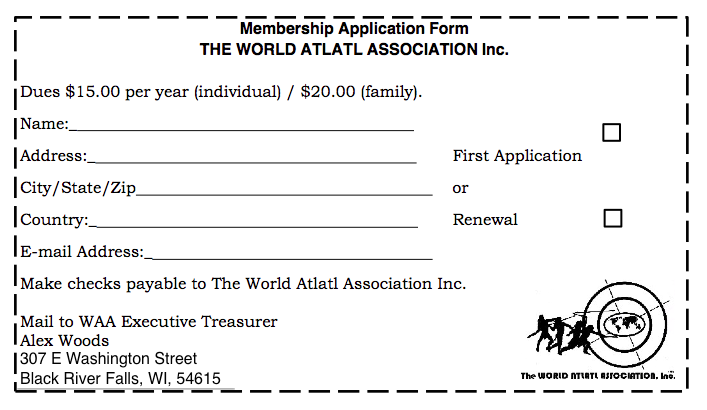 You can join for a year for a very minimal amount and receive a newsletter. 19. You can do atlatl physics. Who says physics is incomprehensible. 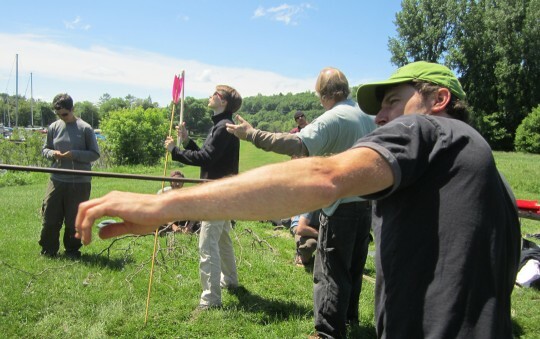 With an atlatl you can see physics in action! Energy equals the velocity squared times the mass. 20. You can use an atlatl as sculpture piece, woodcarving or woodworking project. Atlatls and darts are beautiful. 21. You can learn how to knap flint so you can tip your darts with stone points like the Native Americans did long ago. Isn’t that why many people start using an atlatl in the first place? 22. You can test your math skills by scoring contests. When a group of eager contestants surround you after a contest, you will have all your calculations completed! 23. 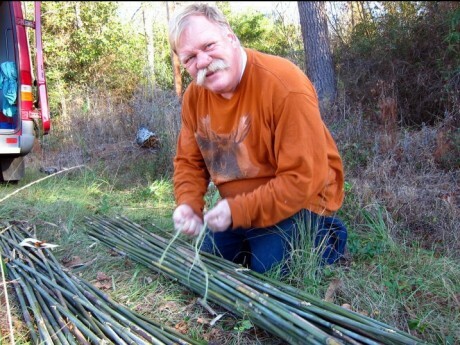 You can make your own atlatl. 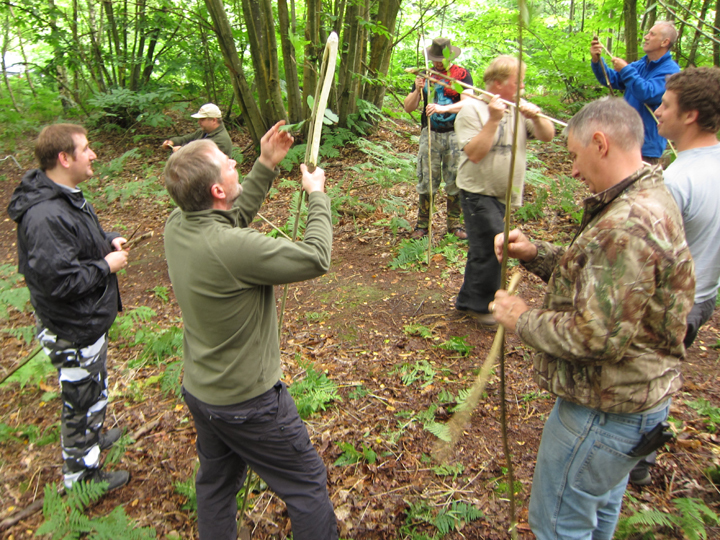 Go out into the forest and you can make a great primitive atlatl or better yet, check out one of our atlatl kits. 24. Take your date on an atlatl outing. Your date will be astounded by your romance, creativity and innovation. 25. Fantastic educational devices. 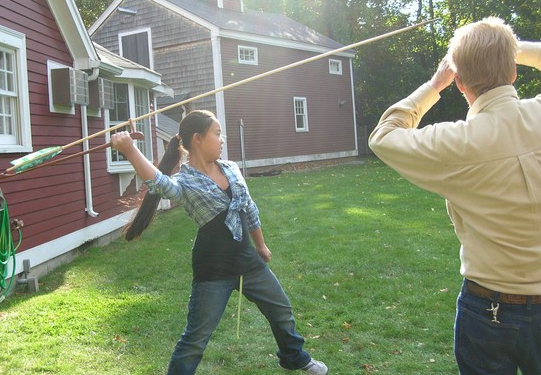 Teachers, you can teach history, archaeology, anthropology, physics, math and more with an atlatl. 26. Atlatls are great for Summer Camp. You can entertain a group of youngsters at camp with ever increasing enthusiasm. 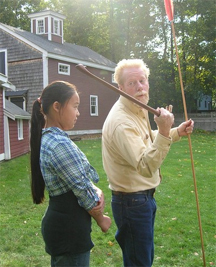 Youth can spend hours of sheer joy with an atlatl at the range. 27. 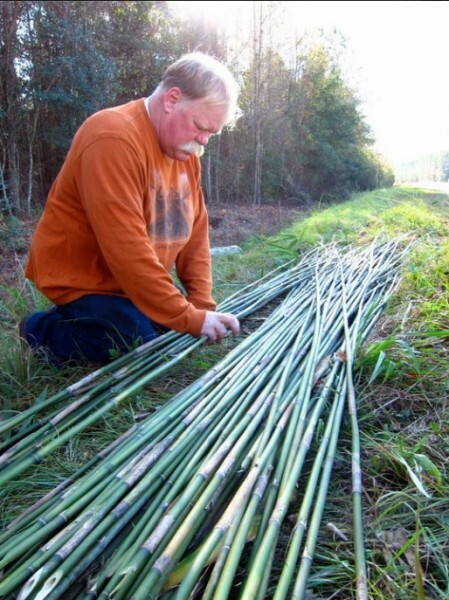 Atlatls make great school science projects for school. 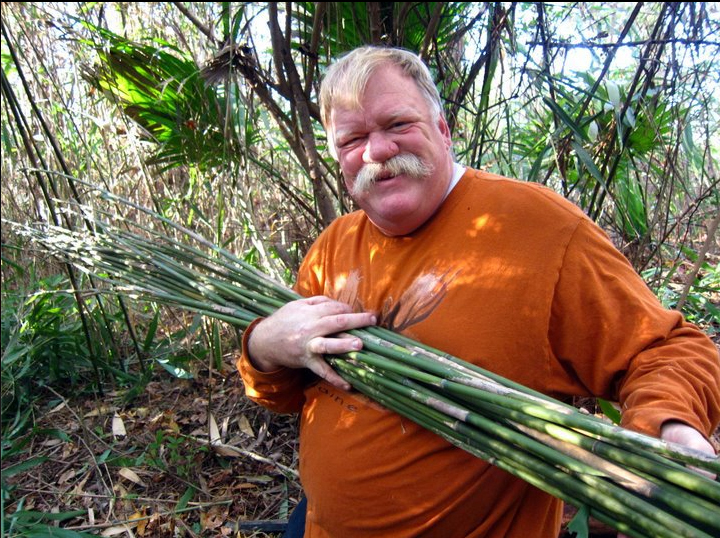 Just think of all the science lessons you can build around the atlatl. They make a fascinating display that your teachers and parents will be thrilled with for an A+. 28. They are interesting to discover in museums. It is amazing to see how many different types of atlatls were used by our ancestors, the kinds of darts our ancestors used and view the collections of projectile points on display. 30. And you can get your atlatls and darts right here.